You can delete a live training from your account. Deleting a live training will also delete the live training sessions within the training. Learners will receive a session cancellation notification email if they are enrolled in any upcoming sessions. On the Live Trainings page, locate the live training and click the Remove icon. 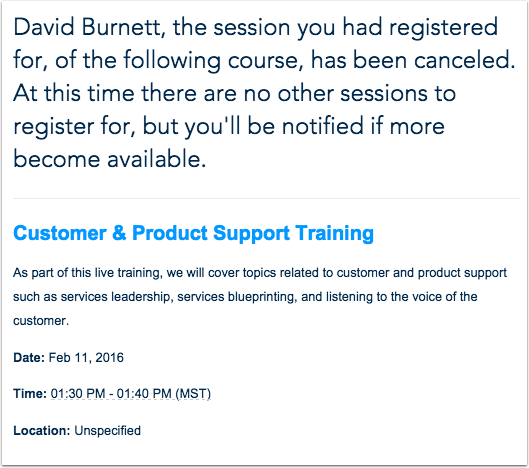 Learners who have registered for a session of the live training will be sent a cancellation notification email. If the learner has attended the session and the session has been concluded, the learner will not receive the email notification. The email notification contains details about the session in which they were enrolled such as date, time, and title. Previous Topic:How do I export learners from the Live Trainings page? Next Topic:How do I use the Surveys page? Table of Contents > Manage Live Trainings > How do I delete a live training? How do I use the Live Trainings page? 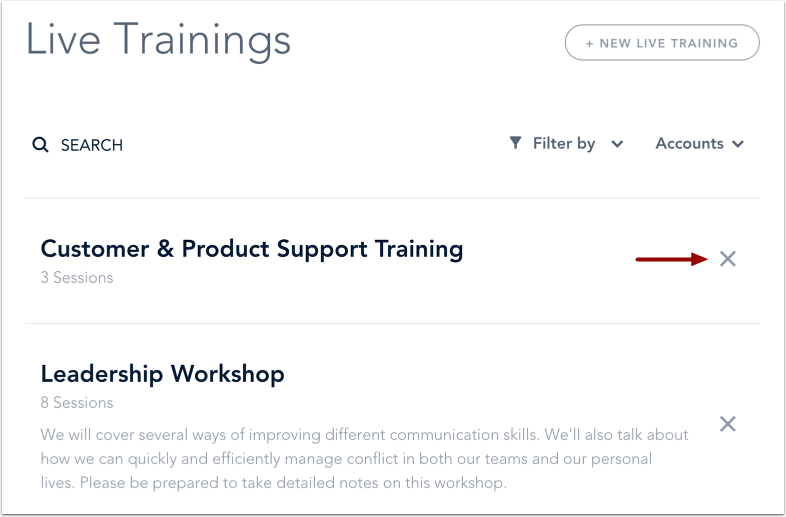 How do I export learners from the Live Trainings page?